Education Archives - Proper Landscaping Inc. The Red Seal exam for landscape horticulture isn’t easy and it shouldn’t be because it gives you journeyman status. It’s a tough exam so some people fail. I know a foreman who finished all four apprenticeship levels and then sat the exam unsuccessfully. It happens. Since the exam fee includes a re-write, she took the test again. No luck. Now what? Luckily her boss is giving her a chance to float among crews and do different things so she can gain more experience. Red Seal candidates must realize that the Landscape Horticulture exam is experience based. The questions are worded so they test the candidate’s experience, not just straight book knowledge. For example, you might be asked about a specific plant. Is it planted for summer foliage or fall berries? If you’ve never seen the plant in the field, you’re stuck guessing. The best learning moments come in the field. This was in my head last week as I was digging up an old, dog urine soaked lawn. Yes, the smell was probably detectable by NASA but this Red Seal had a job to do. And I welcomed the chance to practice installing new sod. 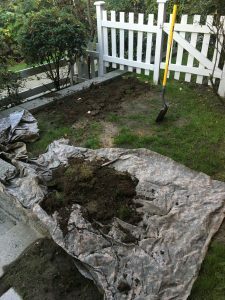 To be perfectly honest, I haven’t done very many sod install jobs. This is my best advice for future Red Seal journeyman horticulturists. Do it all in the field. Use every tool and machine. Install new landscapes, keep plant tags and get very dirty. Like I did, digging up dog urine soaked soil so I could install new sod. This is how you become Red Seal. Do it all with a smile and collect your experience. water everything! Don’t skip this step. 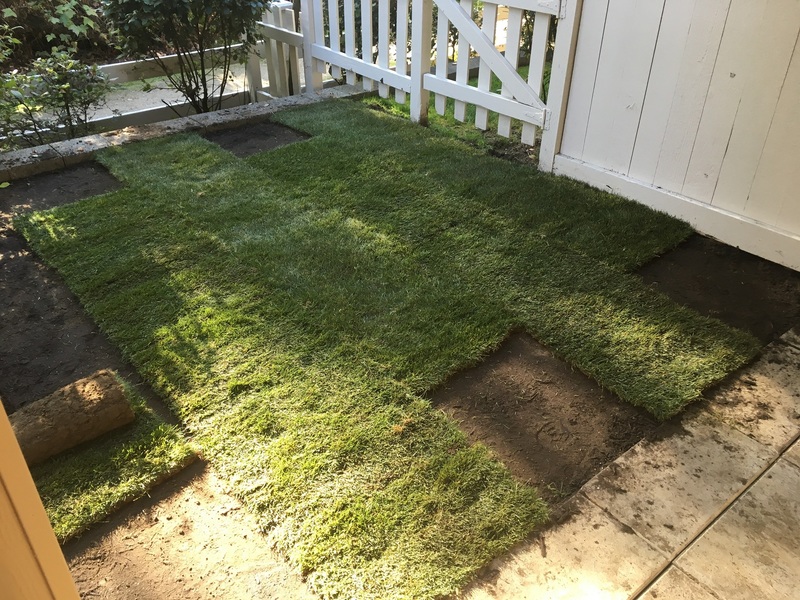 Stagger the sod pieces to eliminate any long seams. When you know you’re struggling in one specific area then face your fears. I failed two modules on my ISA arborist test and studied hard to pass them. It helps if you’re stubborn like me. I also had to do the “Planting and staking” station three times to become Landscape Industry Certified. No big deal. I studied and practiced and got my happy ending. 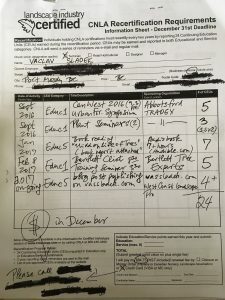 I’m convinced our foreman from this blog post will eventually pass the exam. But I think she’ll need to face her fears and get help with calculations. In the meantime she’s busy doing it in the field. The way it should be. All done! All of the sod pieces are tight and the new lawn is watered. 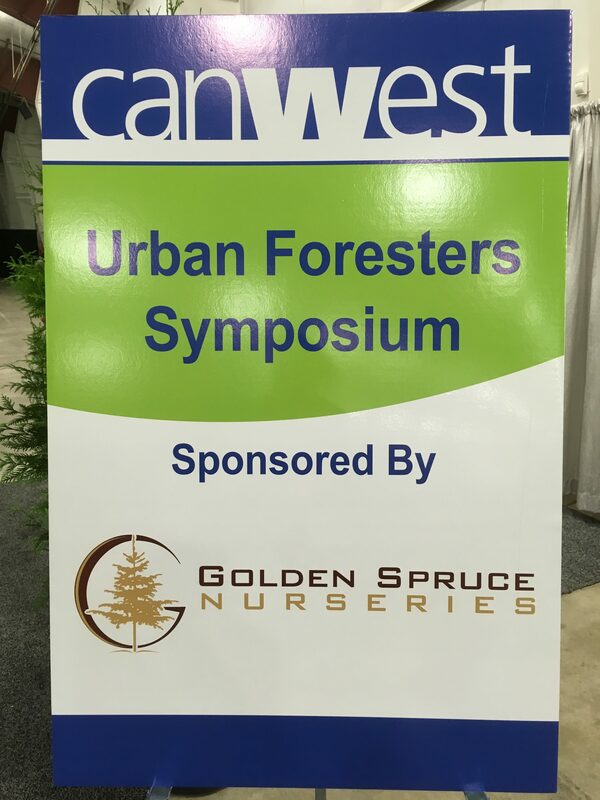 One of the four lectures listed in the Urban Forester’s Symposium didn’t really excite me. Effective report writing sounded too soft. I prefer hard, technical lectures. But effective writing is very important. I should know. I’m trying to grow this blog and squeeze money from clients on other blogs. Occasionally, I also have to write tree-related correspondence and construction sign-off letters. TRAQ (Tree Risk Assessment Qualification) is ISA‘s new qualification and my lecturer, Dr. Julian Dunster, is heavily involved in the training of new candidates in the Pacific Northwest. But there is a glitch: as new TRAQ qualified arborists start writing reports, clients complain that the reports they generate are poor. So you may be able to assess the condition of my tree at home but your report to my municipality may not be understood. Or flat out rejected. I thought it was almost comical but effective writing is a skill. You have to practice it and develop it. You can start by taking Dr. Dunster’s January course. Keep on writing and get better. Below are some key ideas from my notes. 1. There is no such thing as a private report. Assume that your writing will be made public. So be careful. 3. Know your audience and assume they know nothing. 4. Start at the beginning: what’s the assignment? Tree inventory, risk assessment or tree removal? 5. What’s the deliverable? Memo, email or a detailed report? 6. What’s the purpose of the report? Are you simply recording events and facts or are you informing people of your opinion? 7. Who is the client and what’s her educational level? Homeowner will differ from an engineer. 8. Don’t waffle: say what you mean! 9. Unsure about your grammar? Read it out loud. If it sounds funny, it probably is. Also, eliminate obvious typos. 10. Your report should contain evidence and justify your opinion. Simply saying that the homeowner’s tree is declining doesn’t help. 11. What’s your style? Passive or active? WordPress likes it when I use active voice but writing passively on a technical report might be fine. Just don’t mix the two styles. “It was observed….” vs. “I observed….”. 12. Keep your sentences sharp, short and to the point. 13. Remember, your reader needs information from you to make a decision. 14. Expect your reports to be in pdf format and follow logical steps: Introduction, Body, Wrap-up. Include pictures. Data can go in the appendix. 15. If you can’t explain something simply, you don’t understand it well enough. You must be credible. 17. Cut out unnecessary stuff and don’t rush- come back to your report later. Collecting CEUs is a snap! So you made it, you passed your written and practical exams and now you’re Landscape Industry Certified. Great. Now the hunt is on for education credits and this blog post will show you how easy it is to collect them. The requirement is 24 CEUs every two years, ending on December 31. I renewed this year so my next renewal will be on December 31, 2019. The renewal fee is $84.75 and the form and payment must be sent on time to the Canadian Nursery Landscape Association. There are late payment fees and if you leave it really late, they will make you re-write the tests. So renew on time. Yes, I know, it’s a nice money grab but it forces you to learn which is excellent. And you should be able to pass the renewal cost on to your employer. Your employer in turn looks good for having certified professionals on staff. So how do you collect the required CEUs? Take a look at my last CEU report. 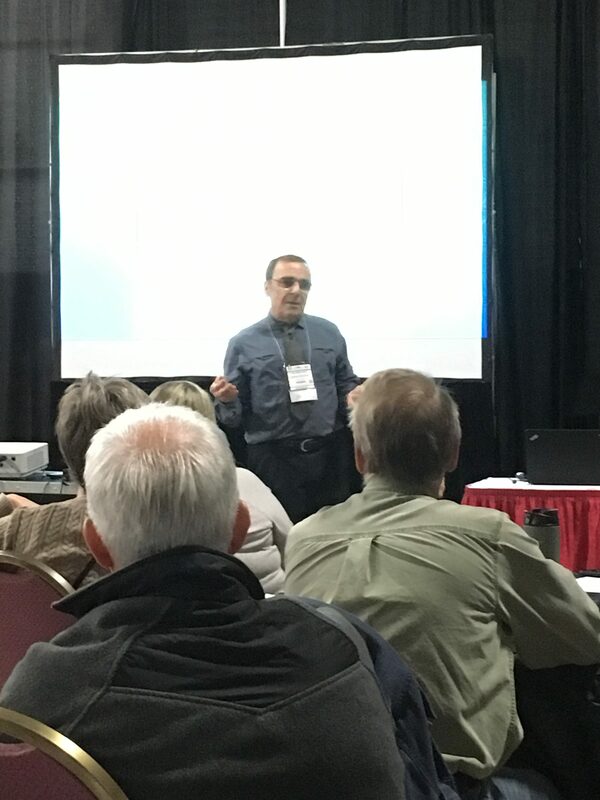 Attending trade shows is the best way to score CEUs because you get to mingle with other professionals while you do it. I usually attend the CanWest Hort Show in Abbotsford, BC, the best trade show there is in British Columbia. 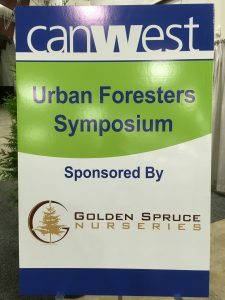 Last year I attended the all-day Urban Foresters Symposium which often features Ph.D. speakers who are extremely knowledgeable and articulate. Lunch is included in the $200 fee. I also took in some plant seminars, each lasting 1.5 hours. I used to struggle with book reading time estimates until I discovered audiobooks. Now it’s a breeze because the listening time is clearly shown. I strongly recommend Peter Wohlleben’s “The Hidden Life of Trees” book. It will change the way you look at trees. Forever. Finding appropriate books for CEUs is easy. It’s normal for me to finish one book while I work. I highly recommend Audible.com. Bartlett invites clients every winter to their client training seminar so my boss sent me. And it was worth it. It was snowing lightly outside so it was nice to be inside with hot drinks and great lectures. Finding lectures and seminars is easy. 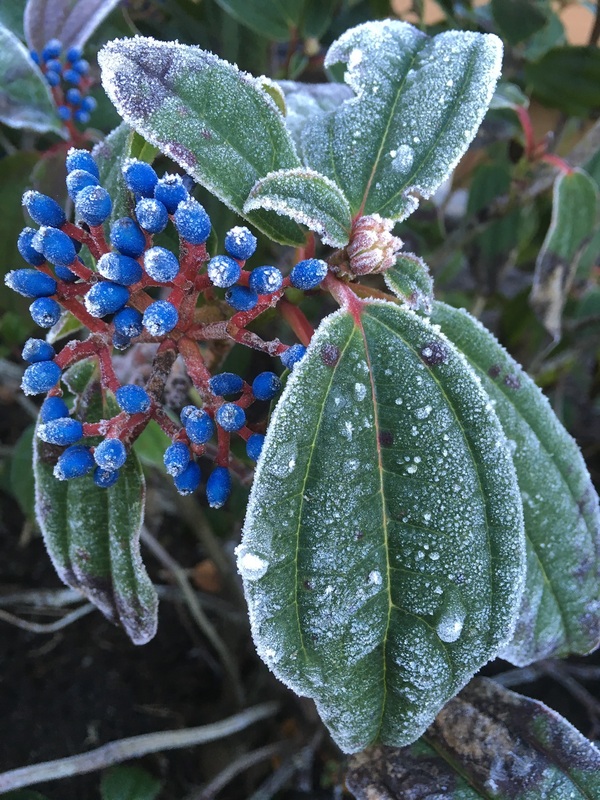 Van Dusen Botanical Garden also puts on many lectures that qualify for CEUS. As a professional blogger I could point the CNLA to my published blogs. And I will do the same for my next renewal. 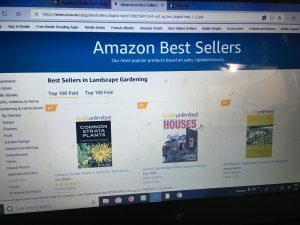 I find I learn lots by writing about landscaping, gardening, trees and horticulture. So don’t worry about collecting CEUs. Passing the CLT tests was the hard part. 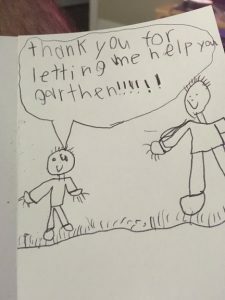 I know a landscape foreman who received a nice card from a kid living on his site. As the seasons piled up the two developed a nice relationship. The kid would “help” on site and it would totally excite him. His mother appreciated the attention the boy received but now they were moving away. 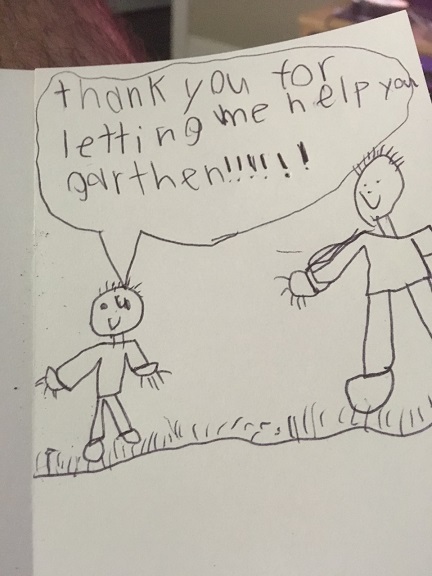 This is a card for a foreman from a resident boy moving away. I would see them only sporadically and every time I saw the woman she was very pregnant or stuffing her family car with kids. I also remember the boy handing me a bag of cookies once to hand over to the previous foreman. But since the man was on holiday, I promised to hand over the cookies later and thanked the boy. I lied. One of the cookies broke so I tested it and the others soon followed. And they all passed their final test. I’m not proud of it but the boy never found out. I also remember the boy being excited about tree work and my ISA certified arborist patch. Unfortunately, I couldn’t give him one. He can easily earn it later. 1. This boy is a poster child for biophilia, defined by Edward O. Wilson as “the urge to affiliate with other forms of life”. He loved “helping” the landscape crew, excited by trees, machines and the big truck moving around the site. I’m sure he will become a green industry worker when he grows up. 2. This case also nicely illustrates that providing good quality work on site isn’t the only thing landscape companies should focus on. Building relationships is just as important. Sure, it takes precious time away from never-ending maintenance work but it’s an important sacrifice. Assuming it doesn’t get out of hand. Clients that get to know you well are more likely to retain you so don’t forget to build relationships with your clients. You might get a cool card one day. 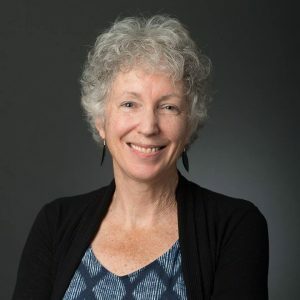 Because I follow Dr. Linda Chalker-Scott on social media I knew that she was in the studio recording her Great Course called The Science of Gardening. Then after several months I checked the Great Courses website and the course was available. There was just the small problem of cost. The course list price is over $200US which is way over my budget. Soon after this I opened my copy of Fine Gardening magazine and inside it was a priority code which lowered the cost to $59.90US. So I bought access to the course on the same day and it was well worth the price. 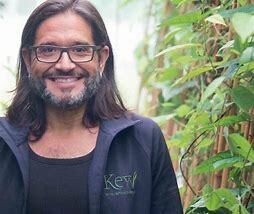 I believe all gardeners and landscape professionals should go through this excellent course. Here’s why. a) Dr. Linda Chalker-Scott is based in the Pacific Northwest which makes her a great local resource. I own several of her books and often refer to her extension publications. If you are a gardener or landscaper you must know her. Period. b) The course is made up of 24 lectures and each lecture runs at around 30 minutes. The key selling point is that everything is science-based. There are many myths in gardening and Linda destroys many of them. This should save gardeners a lot of money. 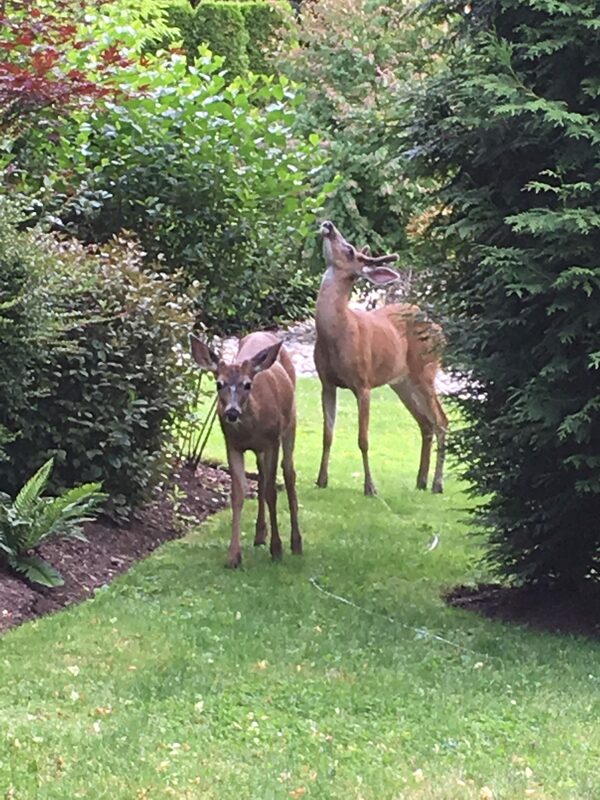 Take, for example, the sale of deer-resistant plants. 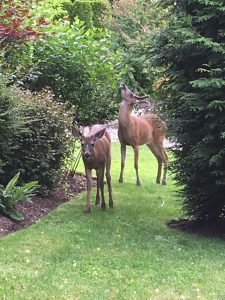 Home owners install their new plants but deer eat them up anyway. That’s because a very hungry deer will eat whatever she can get (feeding pressure). There are no pest-proof plants. Another myth is landscape fabric. 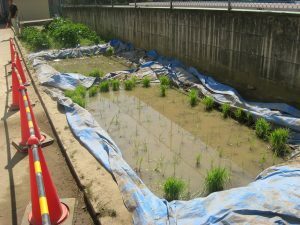 Long sold as guarantee of a weed-free landscape, it actually doesn’t work. In the course Linda covers two beakers with two different landscape fabrics and they both don’t allow any water in. So much for the promise of water and air movement between the fabric and the soil below. Landscape fabric is a waste of money. Now you know. c) The studio lectures are nicely interrupted with field visits which gives the student a nice mental break. Linda also gets her hands dirty demonstrating various things like bare root planting and pruning. d) My favourite lecture is number 17 CSI case studies where various interesting landscape issues are presented and analyzed. This was by far the most interesting lecture. e) If you need CEUs toward your Landscape Industry Certified re-certification this course will be good for 12 credits. 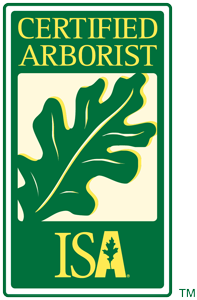 I haven’t checked with the International Society of Arboriculture (ISA) yet if they will recognize this course. 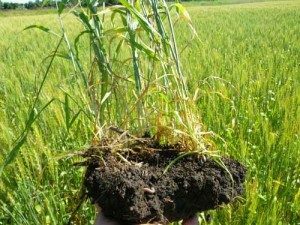 The Science of Gardening is an excellent science-based course that’s well-worth the $60US cost. Dr. Linda Chalker-Scott is an excellent Pacific Northwest professional and I’m convinced that all gardeners and landscapers should be familiar with her work. Quora.com is a fun site where you submit any question you want and wait for someone to answer it. As you read the answers, you are asked to upvote the one you really like which in turn helps the writer. 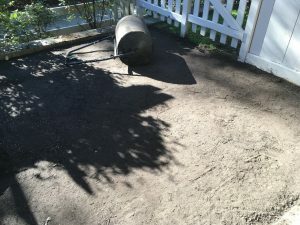 Lately, I’ve been hanging out on the site answering basic landscape questions. Then, recently I received a notification from the site. 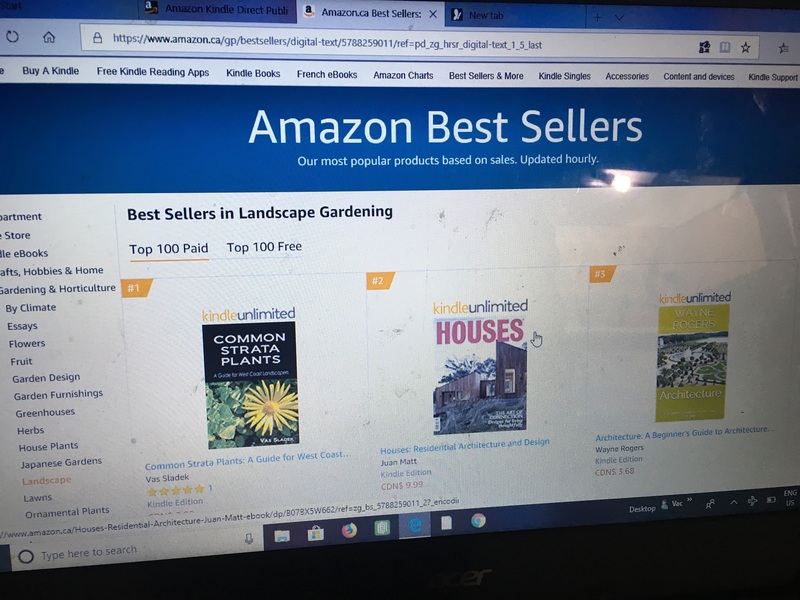 I was now officially a top 10 landscape writer. I had no idea they kept track. So let’s take a look at some question examples and my answers. If you have a burning question, you can ask on Quora.com or message me through this blog. 1. What is an interesting book about flowers or plants? The Hidden life of Trees is the best book about trees right now. It will blow your mind. You will never look at trees the same way. Braiding sweetgrass is the best book I’ve read on native use of plants in the US and Canada. Absolutely amazing. Lab girl is a great book by a Ph.D. researcher; chapters alternate between plants and personal life. Also a great look at women in academia and what a struggle it is. First time I read about “resurrection plants”. The triumph of seeds is also amazing. How do seeds survive for hundreds of years and then, one day, decide to go for it? 2. Why is tree trimming important? Tree trimming is an amateur phrase, I’m sorry. Always say tree pruning. Trimming sounds suspicious and it usually is. I prune trees. Most trees know what to do but in our cities and multi-family complexes with limited space, pruning is often required because of obstruction issues. Say, a resident has to duck to get out of her apartment on her way to Starbucks. Pruning is also important for young trees so they can be trained to look great in the future. Pruning is also required when we find diseased, dead, damaged or crossing branches. My e-book on Tree maintenance is available on Amazon for less than a cup of coffee, just search by title or by name: Vas Sladek. 3. 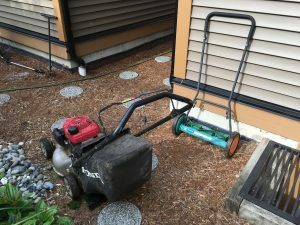 How do I maintain a lawn mower for perfect lawn mowing? Check your oil levels weekly, change spark plugs and change blades often for a great cut. Sharp blades are critical. Otherwise you are shredding grass blades. Check your wheels so they don’t wobble. Tighten as required. Anything else, visit your nearest dealer. 4. It’s been raining for two days right after my lawn got aeration. Do I have to aerate the lawn again? No! 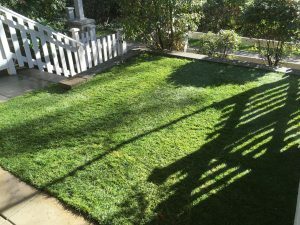 The point of lawn aeration is to allow more water and oxygen into the root zone so rain after aeration is perfect. 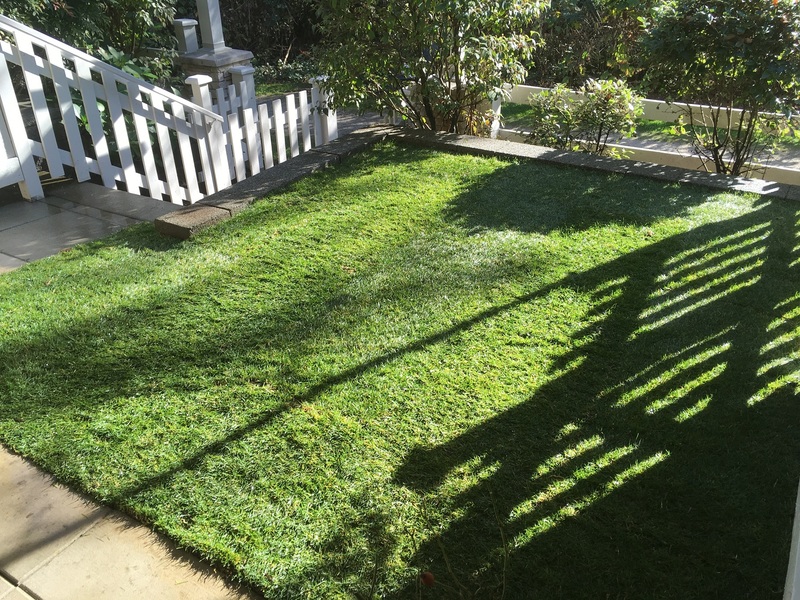 You should only have to aerate once a year although some companies also do fall aeration. 5. What exactly does the choke setting “do” when I start the cold motor of a riding mower? When your small engine is cold, the choke restricts air flow so the engine is getting a richer gas mixture and therefore starts easier. Once your engine is on, you should take the choke off. Warm engines will start again easily without a choke. There you go. If you have a burning question, go to Quora.com and ask away. You can also share your knowledge by answering some questions.